Pop-Star sagely observes for the benefit of anyone who will listen, that the reality of the march of time is most evident from day to day in the growth of one’s children, and subsequently one’s grandchildren. How quickly they grow, and develop; not just in height, but in personality, in skills, and in their increasing independence. 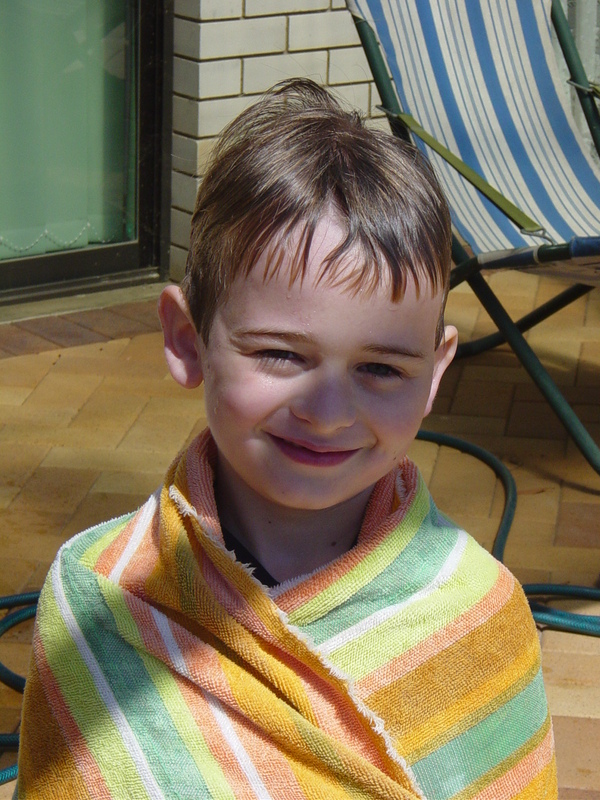 22 years after the arrival of baby Ryan, safe and sound, it is hard to believe that he was once the cute little baby that delighted both his parents and grandparents. 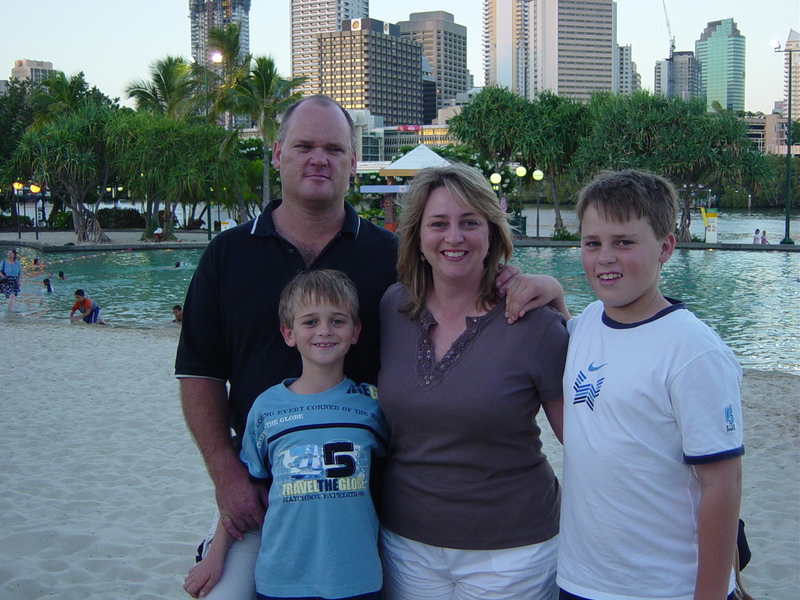 Here he is now, a young man that three years ago graduated with excellent results from the nearby Brisbane Christian Outreach College, where his mother Sue is a teacher. 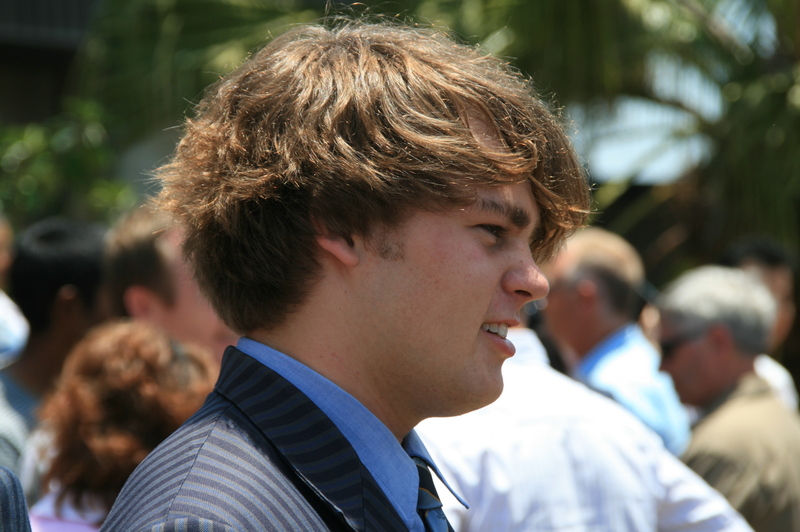 His most recent achievement is to graduate with a Bachelor of Audio Production having studied at the Brisbane Campus of SAE Institute Australia. SAE Global is the world’s leading educator in creative media industries with 54 campuses in 28 countries. 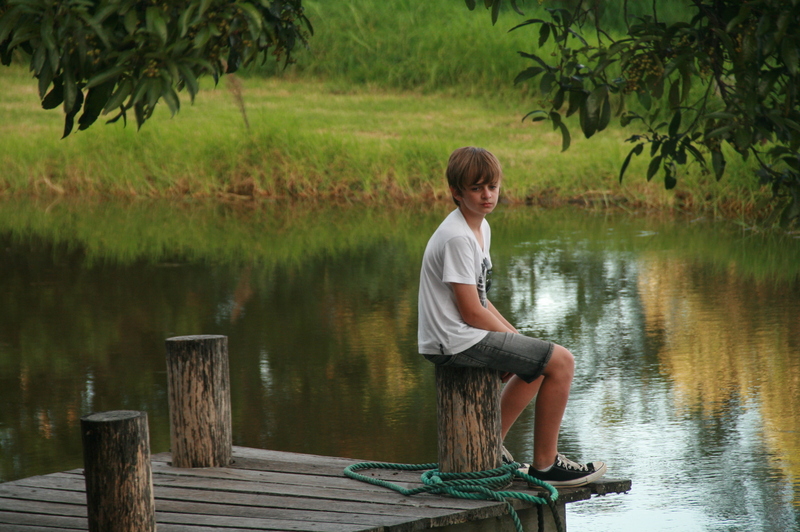 Happily he is developing a career in a field he loves, in music. Ryan plays a guitar competently, and has enjoyed from time to time composing his own music. Welcome Ryan to the working world of adulthood. Christmas 2006 with Uncle Paul in a sensible mood. A little “smiler” with a sense of humour, but a determined competitor never-the-less. He is no longer Ryan’s arm-rest. Although easy-going he has a serious side to his nature, listens carefully to his teachers, and works assiduously to make good grades. His attitude really paid-off for him in this year’s matriculation results. 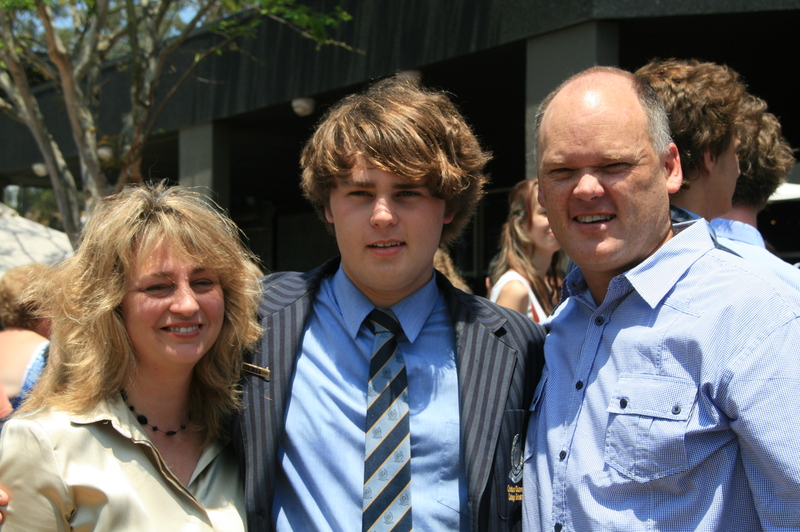 He achieved straight As or Very High Achievement marks, coming third in his year, winning a scholarship for entry into Griffith University for a degree in Media studies. He did catch this, but with a little help from Dad. 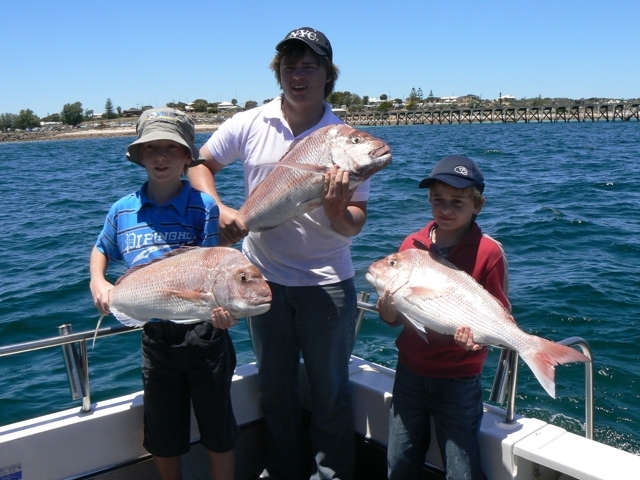 His skills extend into non academic pursuits such as fishing and sport, with some help from Dad and Ryan, while he also has a creative flair derived no doubt from his lovely Mum Sue. 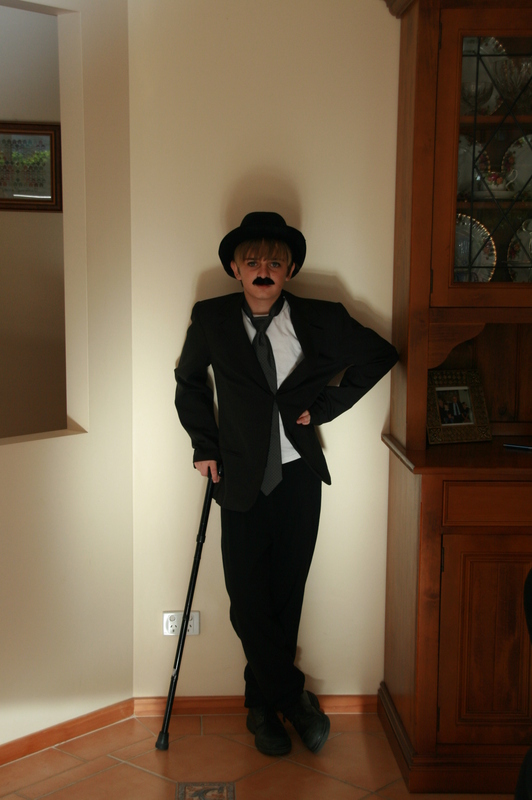 Now he is turning his talents to the stage, here as a Charlie Chaplin look-alike. Guess who has been his mentor! You guessed. 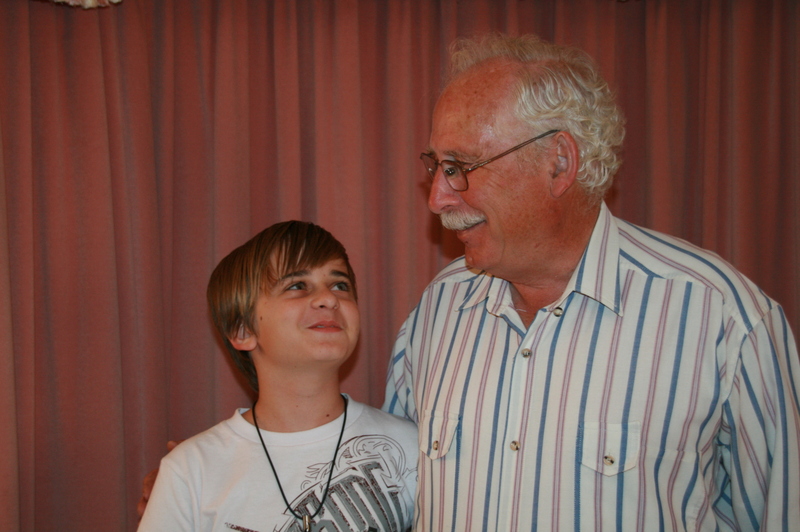 None other than his famous grand-dad Pop-Star. 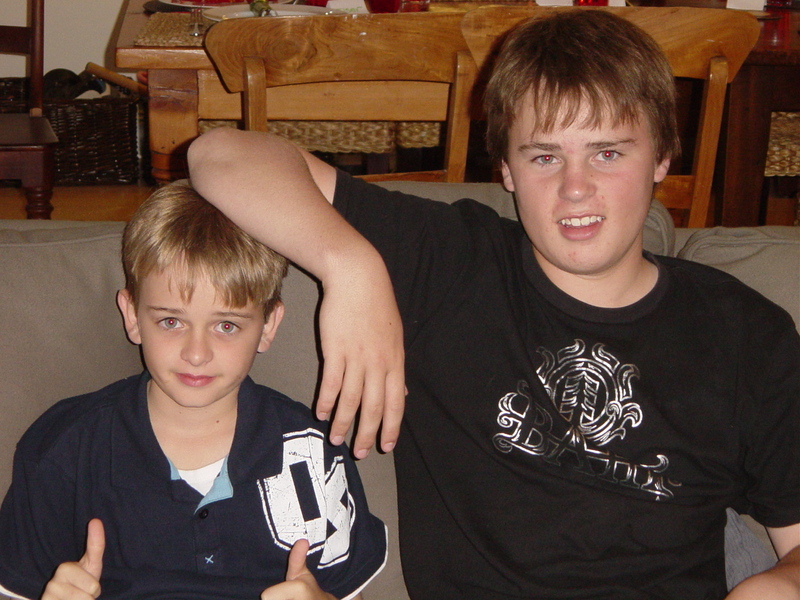 Long ago Jarrod learned to laugh at his jokes. 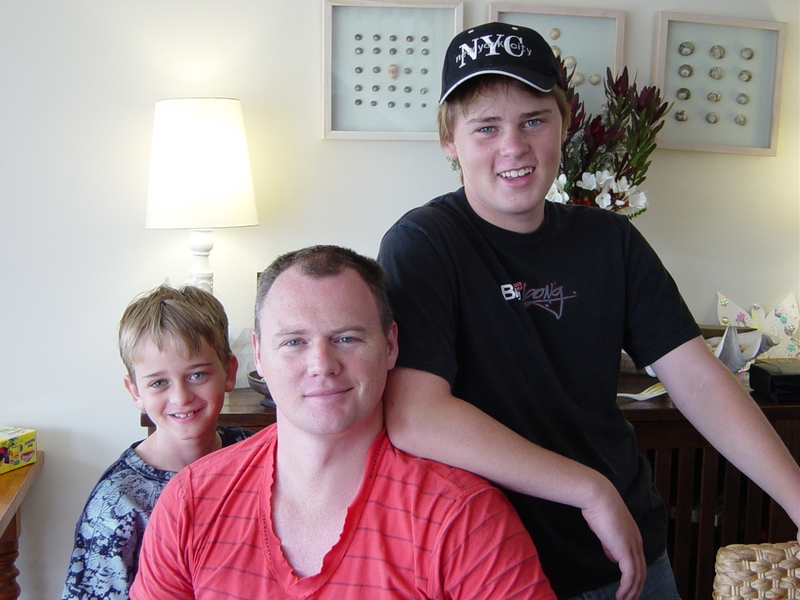 Jarrod and his family taken a few years ago when the boys were still at school. Now it is Pop-Star who is the one in need not only of coaching, but also of being kept in order. I’m sure you will enjoy seeing how he seeks revenge for his friend’s cutting criticism and theft of his bike.